Bentley Systems announces the general access of ContextCapture CONNECT Edition – reality modeling software that quickly produces highly detailed 3D engineering ready reality meshes of existing conditions for infrastructure projects of all types. Reality meshes are derived from simple photographs or point clouds and provide precise real-world context for design, construction, and operational decisions throughout the lifecycle of infrastructure. ContextCapture is the reality modeling solution for a complete capture-to-consumption workflow. For more controlled and automated data acquisition, ContextCapture now offers a QR code framework to capture Ground Control points. This new capability streamlines the process by automatically finding ground control points in a scene leveraging QR codes carefully placed at known locations prior to capturing images. 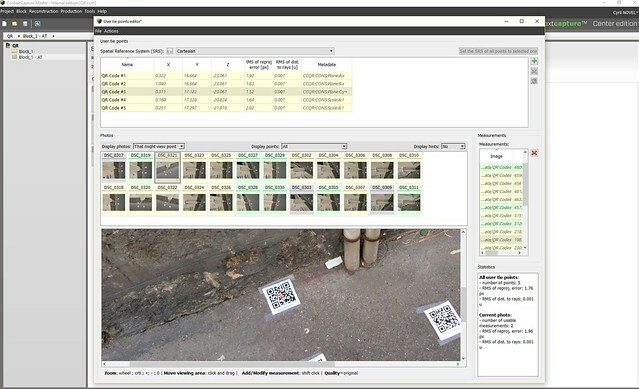 The same QR code functionality can also be used to link the reality mesh objects to an asset registry by identifying and locating objects in the scene. 3D spatial registration of assets requires only the placement of QR code tags on the assets before performing the photo acquisition. Additionally, the new 3D resolution mesh in ContextCapture features quality control and reporting that documents the resulting resolution of any location on the 3D reality mesh. This makes analyzing the quality of the capture and of the reconstruction more efficient, by providing direct visual feedback at any point of the scene. ContextCapture CONNECT Edition offers up to 30 percent faster processing time with more robust and parallelized aerotriangulation, as well as faster multi-GPU support, to generate 3D reality meshes of virtually any size or precision much faster and with less processing time than previously possible. The global color equalization in ContextCapture significantly enriches the visual quality of 3D models. 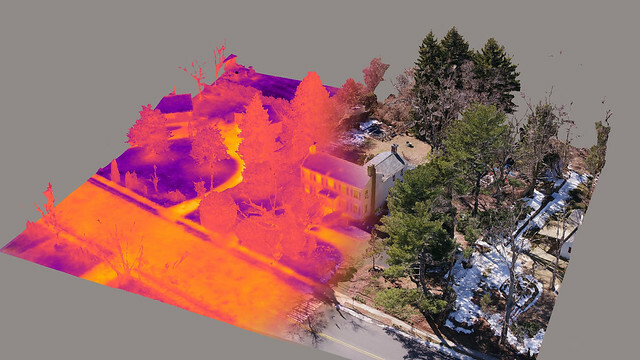 To support the virtual inspection of critical assets, ContextCapture now offers thermal imagery support for mesh textures that enables quick identification of leaks or other asset abnormalities. To increase team productivity and collaboration, ContextCapture is now integrated with ProjectWise ContextShare, a new cloud service that extends Bentley’s connected data environment. Reality meshes can be securely uploaded to ProjectWise ContextShare and then streamed to ProjectWise users for use in design, analytical, and construction modeling workflows. This high-performance cloud service makes the use of very large reality meshes as context for engineering and geospatial work practical. ContextCapture is Bentley’s reality modeling software that can quickly produce 3D models of existing conditions for infrastructure projects of all types, derived from simple photographs and/or point cloud. 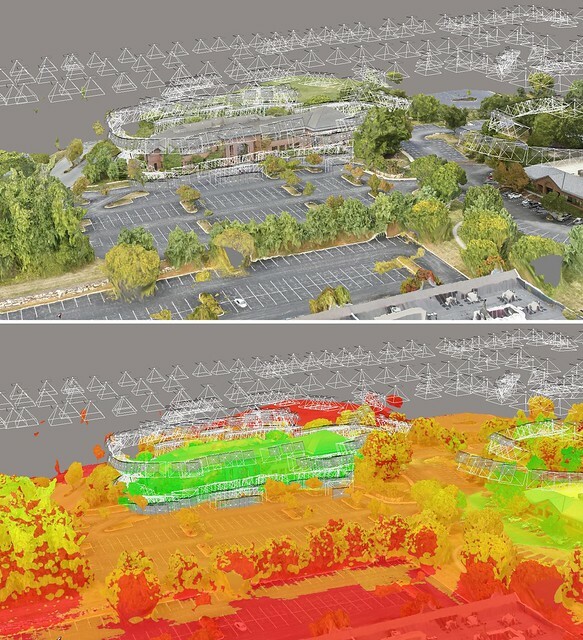 Without the need for expensive or specialized equipment, ContextCapture enables users to quickly create and use these highly detailed 3D engineering ready reality meshes to provide precise, real-world context for design, construction, operations, and inspection decisions throughout the lifecycle of projects. Project teams can easily and consistently share reality modeling information, consumable and accessible, on desktop and mobile devices, in many formats, including native use within MicroStation for use in any engineering, operations, maintenance, or GIS workflow. For additional information, visit www.bentley.com/ContextCapture. With the SELECT CONNECT Edition, Bentley is introducing SELECTCONNECTservices, new Azure-based services that provide comprehensive learning, mobility, and collaboration benefits to every Bentley application subscriber. Adaptive Learning Services helps users master use of Bentley applications through CONNECT Advisor, a new in-application service that provides contextual and personalized learning. Personal Mobility Services provides unlimited access to Bentley apps, ensuring users have access to the right project information when and where they need it. ProjectWise Connection Services allow users to securely share application and project information, to manage and resolve issues, and to create, send, and receive transmittals, submittals, and RFIs.